2 - Free artwork and design, Factory direct competitive price. Our delivery time as short as 10 to 25 days will meet your urgent schedules. If quality has production problem, we shall remake for you or refund the money. shipping On time is guaranteed through our standard process management system. If there is any problem of quality, we can revise it or remake it. Our factory have more than 10 years experience in this area. Note: All the photos below are taken from Logoson items. All our customers come from the around of the world. We have professional design team to support your custom made and brand model making. 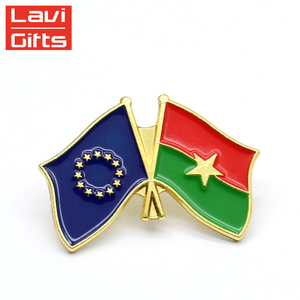 High quality Promotion Gold Plated Metal Custom American Flag Lapel Pin: Item name customized badge/lapel pin Material Zinc alloy,alluminum alloy,gold,silver,bronze,copper,etc. Color Panton color, Multi-color is available,or according to your requests technics carved,stamping or die-casting, polishng,welding,plating, coating,grinding, photo etching, printing, laser engraving,silkscreen,offset printing Size any size or customised size Logo customised logo or welcome your design Plating Nickel, anti-nickel, black nickel, brass, anti-brass, copper, anti-copper, gold, anti-gold, silver, anti-silver, chrome, dyed black, pearl gold, pear nickel,etc. or double plating surface soft enamel,synthetic enamel,soft enamel with epoxy coating surface etc. * Location: We are a factory located in Zhongshan, a major exporting city of China. * Delivery: We enjoy very competitive price for DHL's door to door delivery, and our FOB charge is also one of the lowest in south China. * Response: A team with 30 people will stay online more than 14 hours a day and your mail will be responded within an hour. 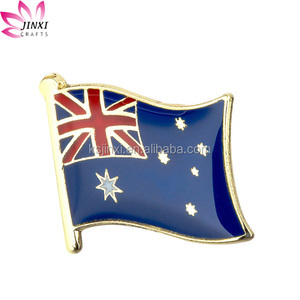 Alibaba.com offers 11,852 metal flag pin products. About 74% of these are metal crafts, 19% are badges, and 1% are flags, banners & accessories. A wide variety of metal flag pin options are available to you, such as free samples, paid samples. 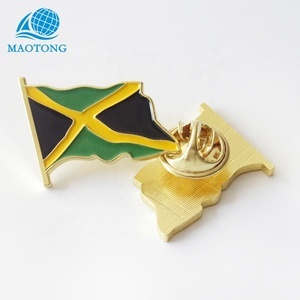 There are 11,764 metal flag pin suppliers, mainly located in Asia. The top supplying countries are China (Mainland), Hong Kong, and Taiwan, which supply 96%, 2%, and 1% of metal flag pin respectively. Metal flag pin products are most popular in North America, Western Europe, and Mid East. You can ensure product safety by selecting from certified suppliers, including 1,211 with Other, 837 with ISO9001, and 405 with ISO14001 certification.